Watch 8 Minutes this coming Spring by Alexander Whitley Dance Company, presented by Dance Woking, a Sadler’s Wells commission, co-commissioned by DanceEast and Trinity Laban Conservatoires of Music and Dance. 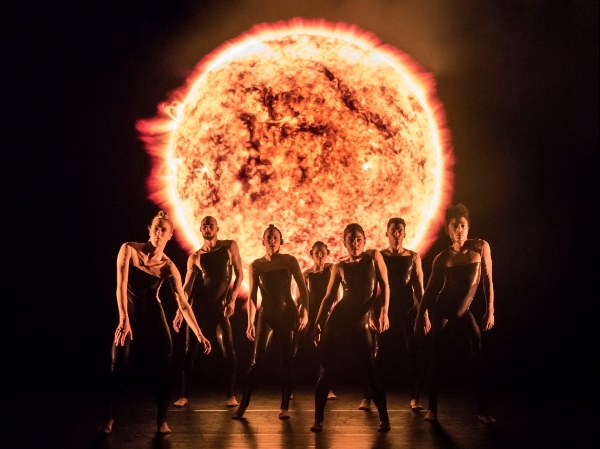 In this unique collaboration with scientists from STFC RAL Space, choreographer Alexander Whitley takes inspiration from the stunning imagery of solar research. Dance, film and music takes us on a journey through the universe, revealing the drama of the burning ball of plasma that illuminates our planet and exploring our relationship with the star that gives us life. With an installation of high-definition imagery 8 Minutes captures our curiosity and wonder for this unimaginably vast subject.